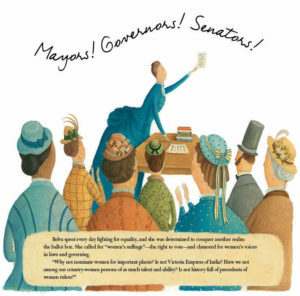 Summary: Although a contemporary of Susan B. Anthony and Elizabeth Cady Stanton, Belva Lockwood is (unfairly) less well-known for her contributions to women’s rights. Starting as a teacher at the age of 14, Belva began her activism in the world of education, introducing public speaking and physical education for both boys and girls, and eventually opening up her own private school. From there, she went to law school, sticking it out when other female classmates quit. She graduated, but had to petition President Ulysses S. Grant to receive her diploma. As a lawyer, she fought for the underserved: widows, Civil War veterans, and former slaves, and eventually became the first woman to argue a case before the Supreme Court. In 1884, she ran for President of the United States and received over 4,000 votes. Sadly, Belva Lockwood died in May, 1917, a little more than three years before the Nineteenth Amendment gave women the right to vote. 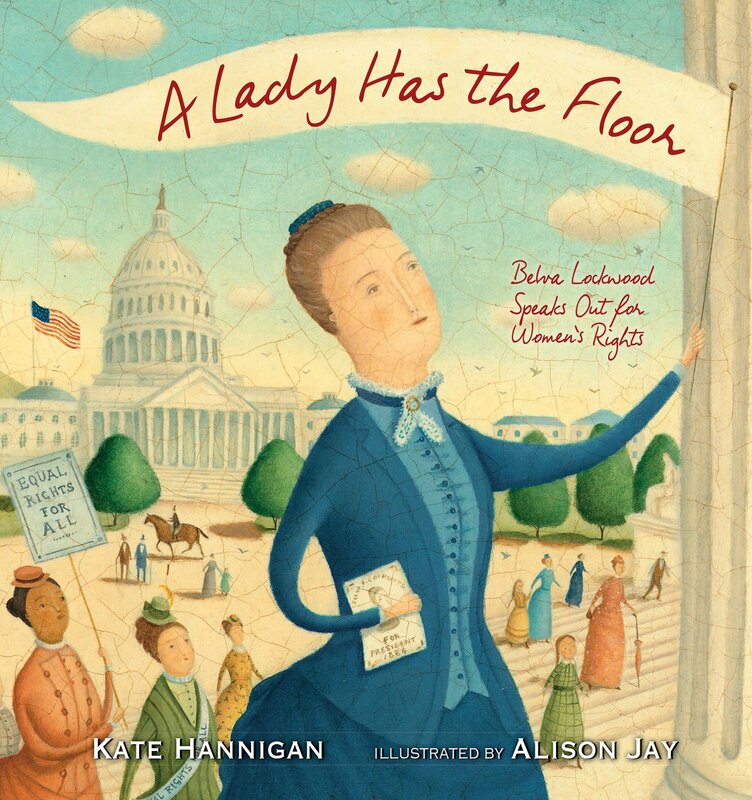 Includes author’s note, timeline of U.S. women’s history to 2016, and bibliography 32 pages; grades 2-5. Pros: A lively and engaging biography of an important and often overlooked suffragist; the timeline does a nice job of placing her life in the context of history. Cons: Some readers might struggle with the cursive font that appears on some pages.